It’s been one whole year since I had published my first novel, Chaos. I decided to do something to celebrate. I lowered the ebook price to $0.99 on Amazon. I would lower the paperback price, too, but Amazon wouldn’t allow that due to printing cost. So, if you haven’t been able to download a copy to your Kindle yet, now is your chance. In a few days, the price will be going back up. Two sisters find themselves in a magical world of supernatural creatures and a book that just might send them on a path to find their destiny. It is the lack of having supernatural abilities that makes Noelle a non-believer. Anya, her younger sister, believes in almost everything, and tries her best to change Noelle’s view of the world, including reminding her they are part shifter. It isn’t until one morning during a ride into work with her uncle, the town sheriff, when Noelle begins to question her disbelief in all things supernatural. She has a premonition which sends her and Anya on a quest to find a book that may lead to their destiny. A destiny that takes them through a portal into the Faerie realm. If you love books about magical faeries, shifters, and werewolves which also includes mystery, action, and adventure then this is the book for you! 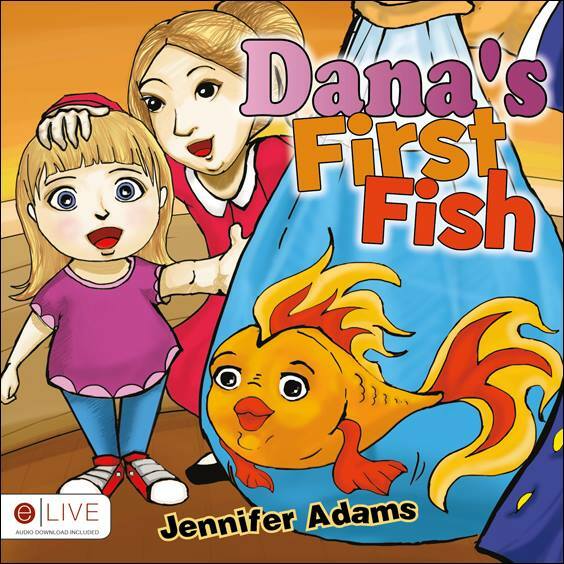 This entry was posted in Blog, Books, My Novel and tagged adventure, anniversary, Author Jennifer Adams, author Jennifer N Adams, authors, blogging, Chaos, chaos supernatural realms, coming of age, destiny, faerie realm, faeries, Faery, family, fantasy, fantasy fiction, fun, geek, good reads, Home, inspiration, life, magic, magical books, magical realism, magical realms, magical world, marketing, Mystery, news, one year anniversary, portals, premonitions, Realm of the Supernatural, relationships, reviews, shape shifting, shifters, supernatural, supernatural abilities, supernatural beings, Supernatural Realms, travel, urban fantasy, weres, Werewolves, writing, young adult, young adult fantasy novels, young adult novel on April 17, 2019 by JenniferNAdams. I’ve been reviewing books on Amazon and Goodreads for indie authors for a few years now, I don’t know why I hadn’t thought of blogging about them. So, I decided to try something different. Being an indie author myself, I know how hard it is to get the word out there when it comes to promoting and marketing my work. There are a lot of ways to market your work, yet most of them are out of the budget range, especially if you are just starting out which means you can only promote your work here or there. With that said, I decided to create a blog where I will post my indie book reviews, as well as author interviews for any indie author out there looking into promoting their published works or looking into building their online presence. I know there are quite a few book bloggers already out there, but one more couldn’t hurt, right? It’s FREE, which means I’m not charging anyone to market their books. If you are an indie author and think you are interested, check out my blog here. Or, if you are looking for something interesting to read, visit my blog and click follow. This entry was posted in Blog, Book Reviews, Books, Needs Your Attention and tagged author interviews, authors, blogging, book lovers, book review, book reviews, books, ebooks, Environment, family, free marketing, fun, geek, good reads, Home, indie author, inspiration, life, marketing, new author, news, poetry, promotion, published, published author, publishing, reviews, school, supporting indie authors, writing on April 16, 2019 by JenniferNAdams. Claimed by the Alpha is a steamy paranormal werewolf romance. It’s available for purchase on Amazon, or check it out on Kindle Unlimited. All Gemma wanted to do was get away from werewolf politics and her dominant, alpha father, who had done nothing but control her life. She wanted nothing more than to be a free woman and not be forced to marry another controlling male. When she ran off to the other side of the country, she didn’t think that she would be running into another dominant alpha male, Aiden. He shows nothing but distaste toward her. She would leave, but she’s financially strapped and has nowhere else to go. It would also seem that wherever she goes, he’s there. Aiden had tasked his brother John to hire an assistant for their company, giving him strict rules not to hire a woman. So, it came as a surprise when John went against Aiden’s requests and hired Gemma. One sniff of her and Aiden is having a hard time controlling not only his temper, but the urge to shift. There is something about her that stirs his wolf. But he doesn’t figure out what it is until another alpha wolf comes into his territory and takes Gemma. Will Aiden come after her, or will he let her go? Will Gemma finally concede to live life among the wolves, or will she run again? Publisher’s Note: Claimed by the Alpha is a stand-alone book in the Sanctuary Series. They can be read in any order. They are also HEA guaranteed, no cheating. This book contains a hot, demanding alpha wolf with a penchant for protecting and dominating his female. If such material offends you, do not buy this book. This entry was posted in Blog, Books and tagged alpha males, alpha werewolf, alpha werewolf romance, amazon, Author J Raven Wilde, authors, blogger, blogging, blogs, books, ebooks, fun, good reads, goodreads, hot reads, J Raven Wilde, just published, kindle, Kindle Unlimited, life, marketing, published, romance books, steamy reads, steamy romance book, twisted crow press, werewolf romance, Werewolves on April 1, 2019 by JenniferNAdams. Rancher’s Daughter is an adult soft romance novella. It’s available for purchase on Amazon, or check it out on Kindle Unlimited. It’s been a busy few months, to which I hadn’t realized it’s already April! This year has already started out great for me. I have published two more titles and will have two more books coming out this summer. Crossing my fingers that I will have two more coming out in the Fall. The year before last, I had set some goals for myself; publish 6 titles a year, for 5 years. That includes short stories, novellas, and novels. Partially, it’s for tax purposes, but mostly, it was set as a challenge. Could I do it? Could I actually write that many books in a year? Well, it turns out, I can. or, rather, I’m getting there. Last year started out a bit rough. However, I had switched jobs and am now happier where I am. Not only do I get paid more at my present job, but I have more time to spend with my daughter and more time to write. Last year, I published a novel, a novella, and a short story. I had also written two more novellas, Claimed by the Alpha and Rancher’s Daughter. However, I wasn’t able to publish them until this year. I also decided to work on lengthening The Mummy’s Curse, a short novella I had published last year. A few people told me that it was a really great story, very hot, but it was also a bit too short. I was told that it had promise had I made it longer. I listened. Not only did I lengthen it, but I am also working on making it a 3 book mini-series and plan to have the next two books in the mini-series published this Fall. Things are looking up for me as an author, finally, and I couldn’t be more happier! This entry was posted in Blog, Books, Creative Writing and tagged adult romance books, am writing, amazon, Author J Raven Wilde, Author Jennifer Adams, author Jennifer N Adams, authors, autism mom, autism parents, blogging, books, Claimed by the Alpha, Cowboys, ebooks, fantasy books, fantasy fiction, good reads, goodreads, horses, indie author, indie books, inspiration, J Raven Wilde, Jennifer Adams, Jennifer N Adams, Kindle Unlimited, Last of the Cowboys, life, marketing, my author life, novel writing, paranormal, paranormal romance books, published author, Rancher's Daughter, ranching, romance books, Sanctuary Series, single mom, single mom life, soft romance, steamy reads, The Mummy's Curse, traditional author, traditional author switched to indie, werewolf romance on April 1, 2019 by JenniferNAdams. Ever since I published my first book in 2012, I have been asked how I did it, along with many other questions that I feel I have enough to fill a book. Most of the questions are usually the same ones that I am asked repeatedly. I try my best to answer each one and at times I feel like I’m leaving something out. I want budding authors to strive in this business, as being an author is a business. It’s how we earn an income. Some authors earn a lot more than others but I don’t want to keep aspiring authors from learning their craft to where they can’t make a living. I want to help them become successful. I have decided to take these questions and answer them by writing a book. Not only do I answer their questions, in length, I added a plethora of other useful tips and tidbits that they should know to help them in building and marketing their brand. Though it’s a guide on how to become an indie author, I do write a little about what to expect in the traditional publishing side of becoming an author. Though I don’t have an exact date set for when it will be published, I do know it will be out sometime next Spring. This entry was posted in Blog, Books, Creative Writing, My Novel, Needs Your Attention, Reviews and Recommendations and tagged aspiring authors, Author Jennifer Adams, author Jennifer N Adams, authors, becoming published, blogging, books, building your brand, fun, good reads, guide to self publishing, humor, indie author, indie author books, indie author guide, life, marketing, marketing your book, new author, published author, published authors, publishing, publishing books, publishing company, publishing guide, publishing process, reviews, self help books, self marketing, self-publishing, technology, writing on July 25, 2018 by JenniferNAdams. I do have a full schedule, or a full plate, whichever way it’s put, I am quite the busy person. Single mom, work, college, plus a huge list of other things to add that I wish not to discuss publicly. I’ve often stated when I fit in my writing. It’s usually scribbling ideas down onto paper whenever I have a free minute, such as standing in the grocery store check out lines. Then late at night, or right before class, I’ll type them up. Usually, it helps to have a printed manuscript for me to scribble on, but I always have a notebook where I keep all my notes. Currently, I’ve been adding the last pieces to my manuscript. A sentence or two here, cut and paste that over there… As I type this, I’m 200 words shy of making 60,000 words. Wow! Well, isn’t that enough? Apparently not! It is a young adult novel, so there is a minimum and a maximum amount of words required for a publisher to actually look into publishing an author’s book…so I’ve been told…by a couple of actual publisher’s. I didn’t come up with that entire word count over night…I wish…It took me five, long years to come up with that amount. So, you can see, I may seem to have accomplished a lot, it just took me a long time to get here. I don’t spend all of my time on the computer, writing…though some of my relatives may think otherwise. Honestly, after hearing other authors tell me how long it’s taken them to come up with their first manuscript for a full novel, I don’t feel so bad on how long it took for me to get this far. I’m now at the point to where I should prepare a query letter. I have written and rewritten a query letter for this manuscript, though it just hasn’t caught an agent’s attention. It’s taken me five years to write a novel with 60K words, why should it take me so long or be so hard to write up a short professional letter? Well, it is a hard market for us authors. So hard in fact, that a query letter has to have the essentials, yet catch an agents eye for them to pick you and your manuscript. It has to be perfect. I’ve had a few ‘maybes’, but they weren’t a definite ‘yes’. So, it was back to the drawing board, so to speak. I couldn’t understand what my query letter lacked. It had all the important details; genre, word count, title, synopsis, a little bit about me…yet, no yes’s. I had a hard time coming up with my query letter. I honestly didn’t know how to write one. I had to research and research this on the internet, through the writer’s digest magazine, even thumbed through several books on ‘how to get published’. Until one day, I had stumbled upon a blog that proved most helpful in every way. Jane Friedman, a publishing consultant, with many years of experience, had written a ‘Complete Guide To Query Letters…’ After scrolling through this post, I finally had the understanding of how my query letter should read. It clicked. The part about her ‘Hook Instruction’ was proved most helpful to me. After having a few people read my query letter, it seems that’s what it lacked, a hook. 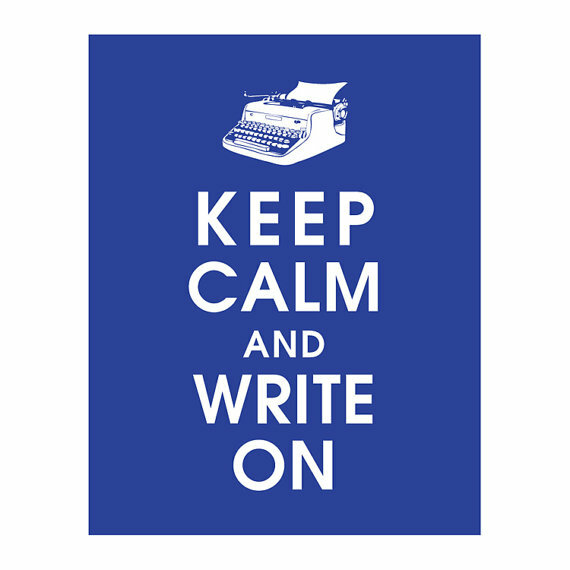 Now it’s time for me to go re-type my query letter, though with motivation and determination that I will have the perfect one written and sent out to all those agents I’ve picked to query. Be sure to check our Jane Friedman’s post about, ‘The Complete Guide To Query Letters That Get Manuscript Requests’. Also scroll through her other posts, you’ll find them all very helpful. This entry was posted in Blog, Books, Creative Writing, Help Publishing Your Book and tagged agents, anthropology, author, Author Jennifer Adams, author Jennifer N Adams, authors, back to school, blog, blogging, books, children's book author, children's books, Children's literature, college, college student, college students, creative writing, faeries, fantasy, fantasy fiction, Fiction, getting published, Jane Friedman, literary agents, manuscript, manuscripts, novel, novels, parenting, parents, published, published author, publishing, query letters, querying agents, school, shifters, single mom, single moms, single parent, single parents, weres, writer, writer's, writing, young adult, young adult novels on March 12, 2015 by JenniferNAdams.